This excellent speakphone is specially designed with professional quality in mind with its impressive sound quality. It is the safest and most convenient way for you to answer calls on the move. When a call comes in, you simply press a button to take the call or reject the call. And voice-dialing is also available when you make a call. 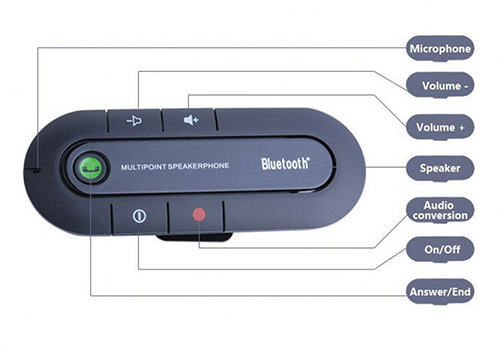 This Bluetooth kit can be used as a hands-free speakerphone in your car, home or office. Handsfree solution e.g. make or receive calls while driving. Easy installation. 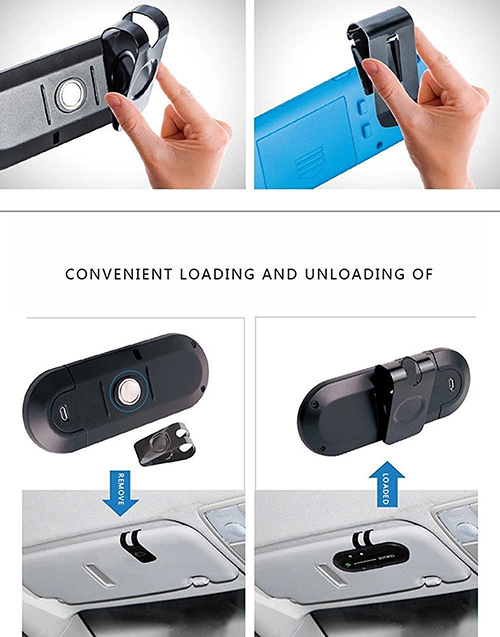 Just attach it to your car's sun visor via the magnetic clip. Full auto connect and pairing. Volume Up / Down buttons. Safe and legal (abides by Australian Law). Multipoint technology (can pair to two phones simultaneously). Last call redial and reject incoming call easy access buttons. Voice recognition dialling (if supported by smartphone e.g. Siri or Google Now).